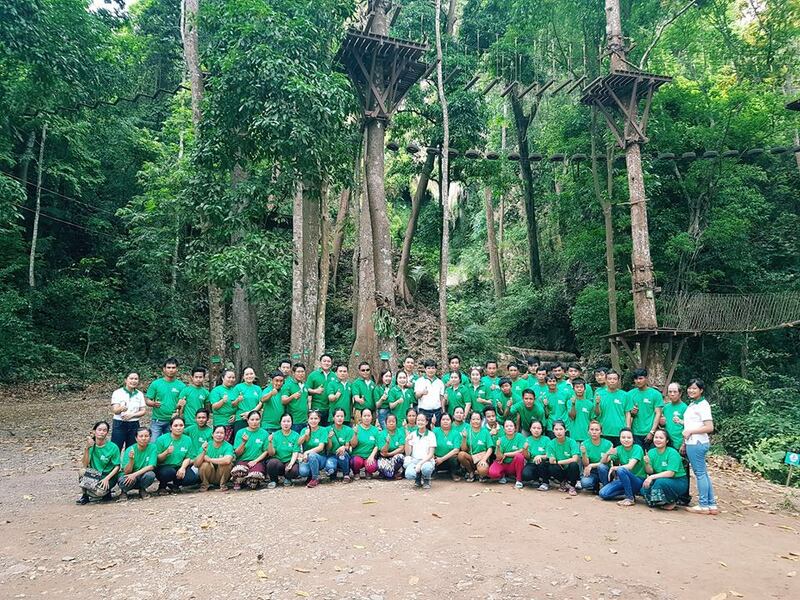 * Sharing Pickup by Minivan from Luang Prabang to Hoi Khua Waterfall at Ban Pak Lueang Village, Chomphet District. (About 45 Minutes 15 KM). At your arrival on spot relax for a Tea or a coffee at Hoi Khua Coffee shop to fill our security acknowledgement form, following by a safety riding training with our experience guide and start climb up to the higher trees for 24 Stations of bridges and zip Lining. **Challenge your agility and using your balance with a Rope course loop of 13 stations to challenge your friends or yourself with 13 different bridges and obstacles then enjoy the fresh air with 11 stations and 900 meters of Zip Line down to the Valley between the trees across the Green Jungle Canopy to the Green Garden Flower before abseil down of the tree and then back to the coffee shop by the Green Organic Trail, take a short rest and back to Luang Prabang by sharing minivan. Morning pickup around 08:30 to 9:00am/back to town around 12:30am. Afternoon pickup around 12:30 to 13:00pm/back to town around 17:00pm. 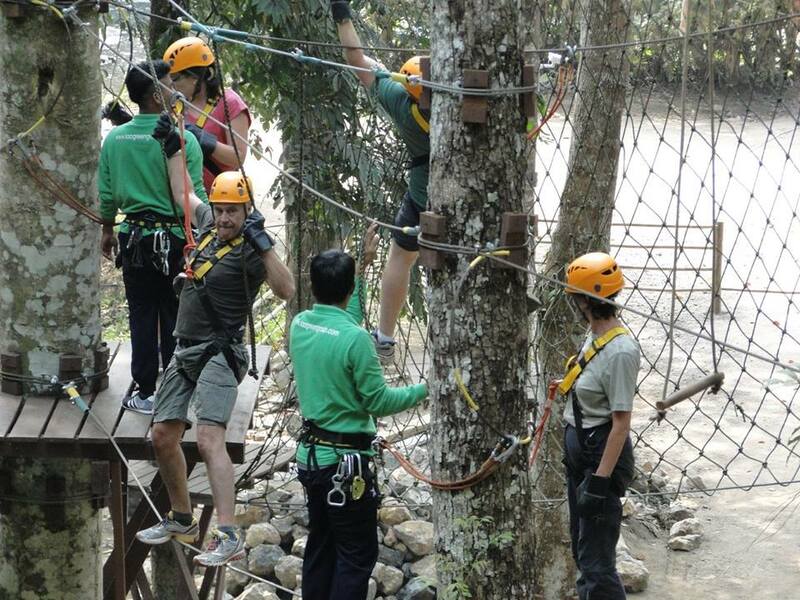 ** Rope Course & Zip Line or Zip Line & Rope. ***Including round trip transfer, one bottle of drinking water and a cup of Tea or coffee. 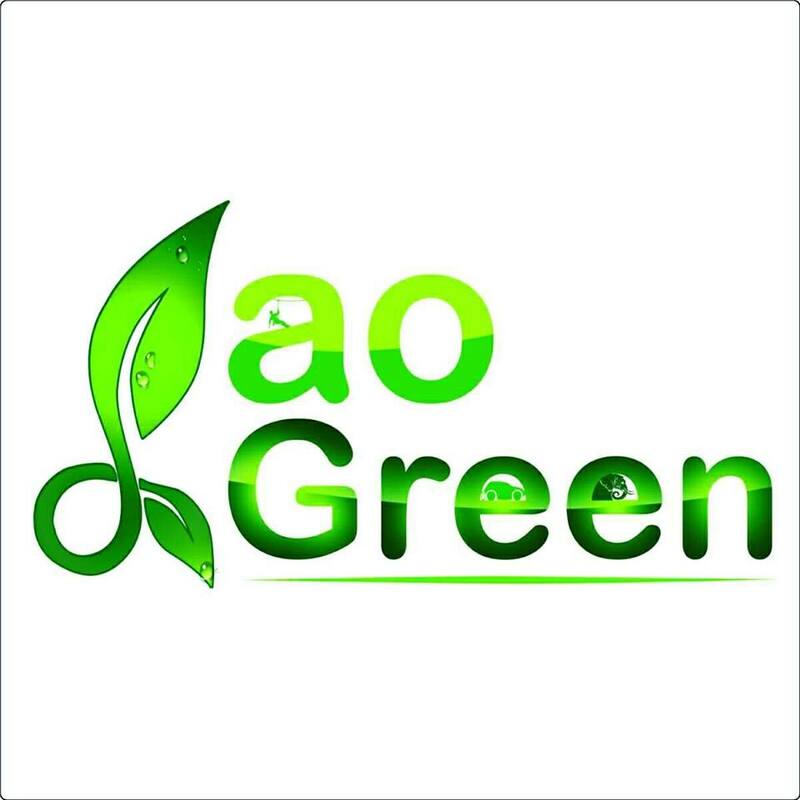 Welcome to Lao Green Group.